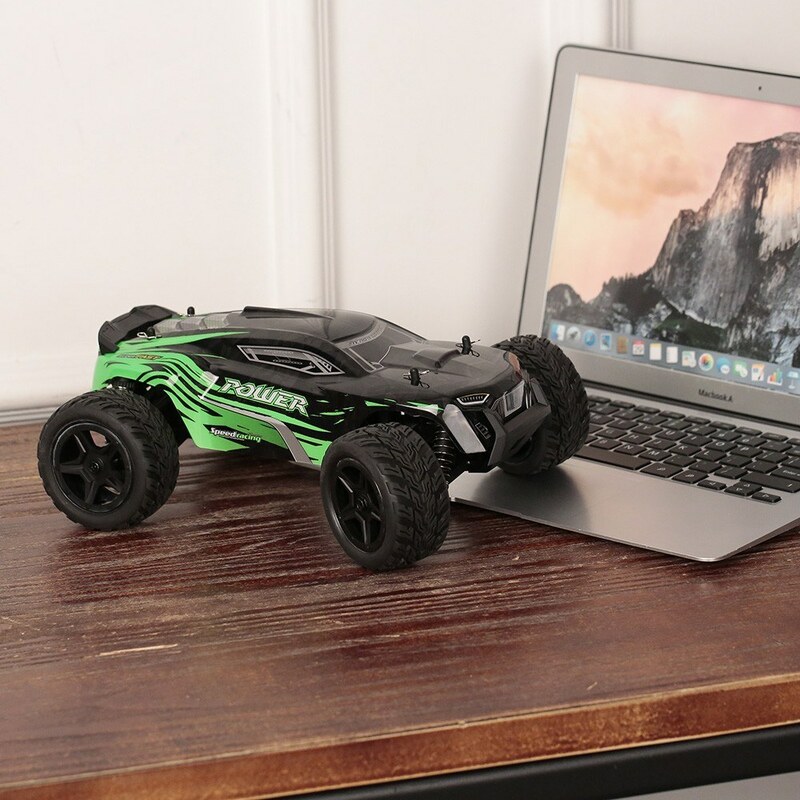 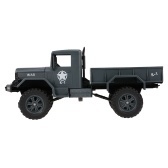 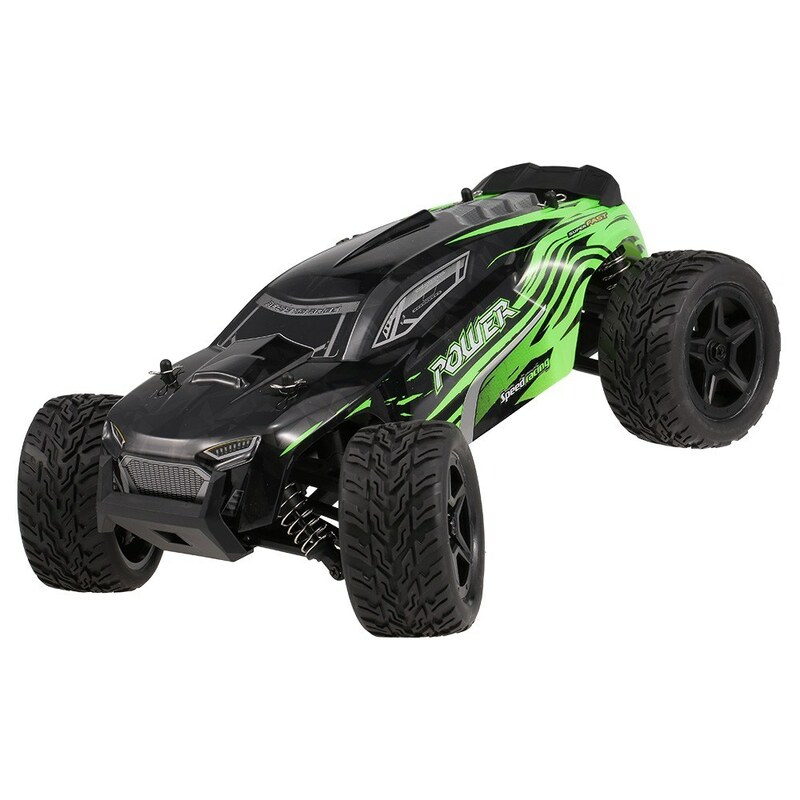 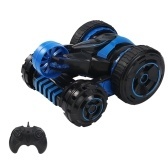 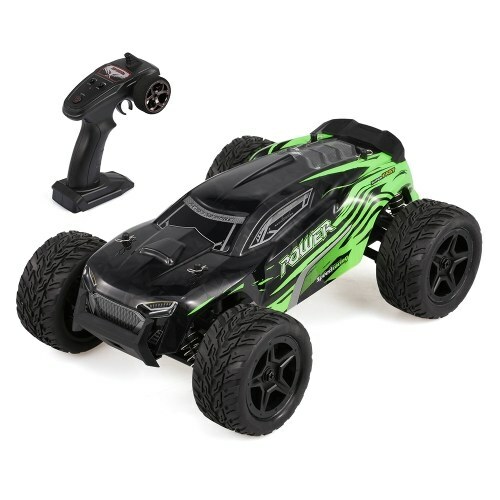 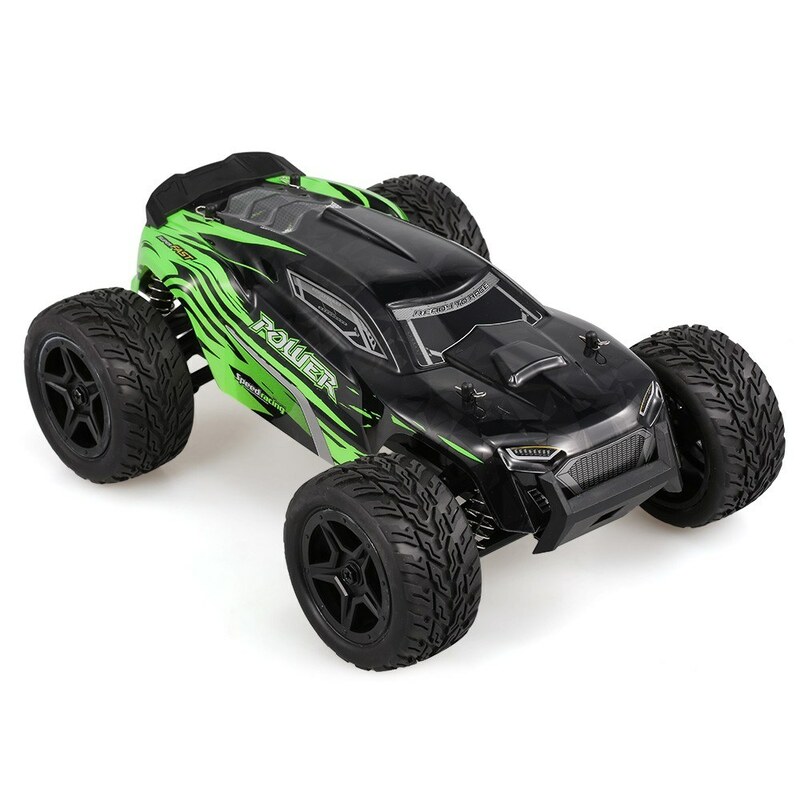 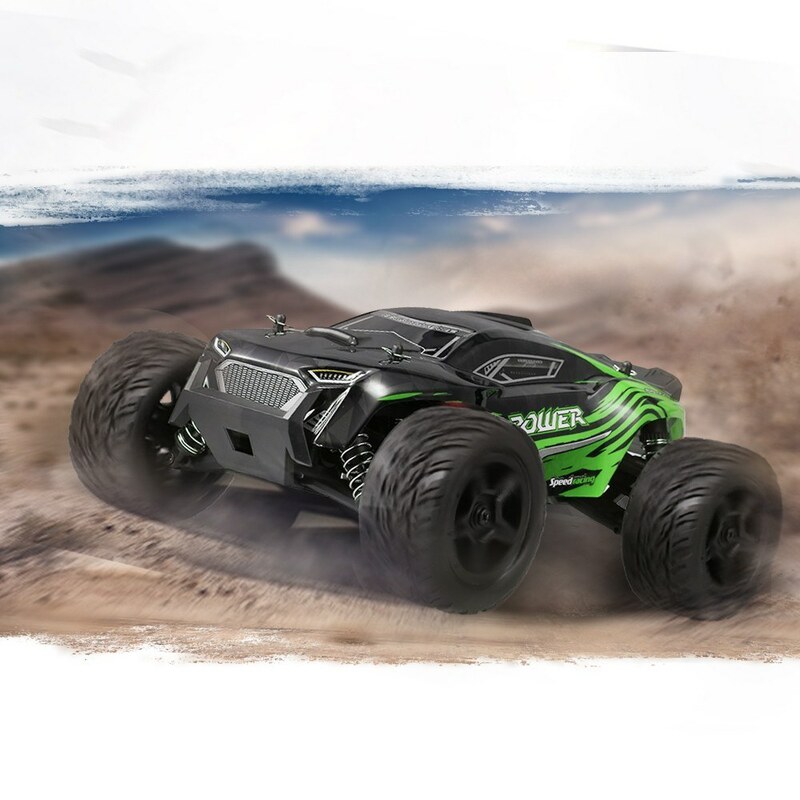 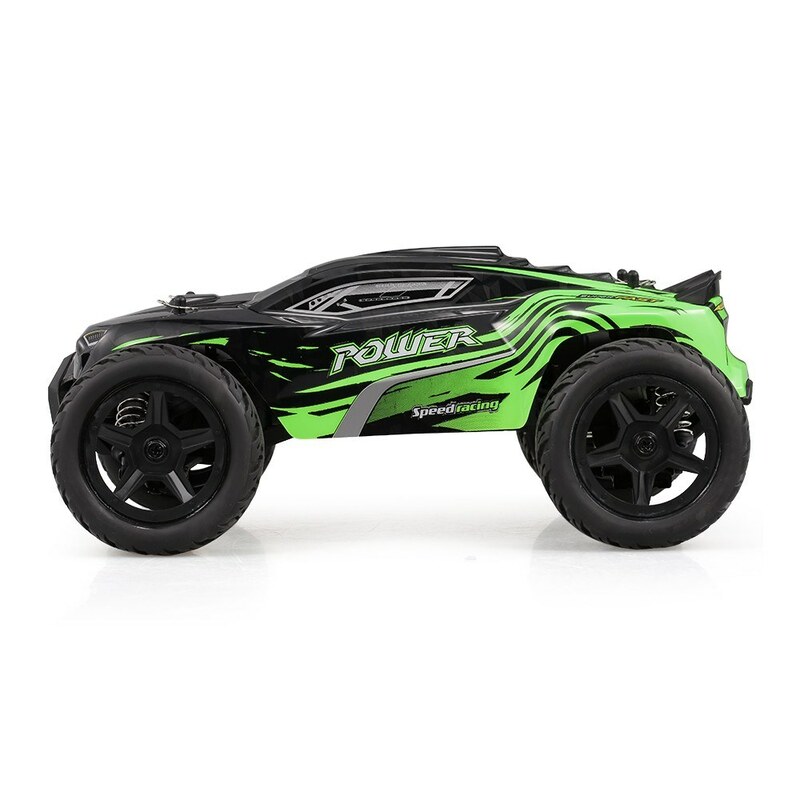 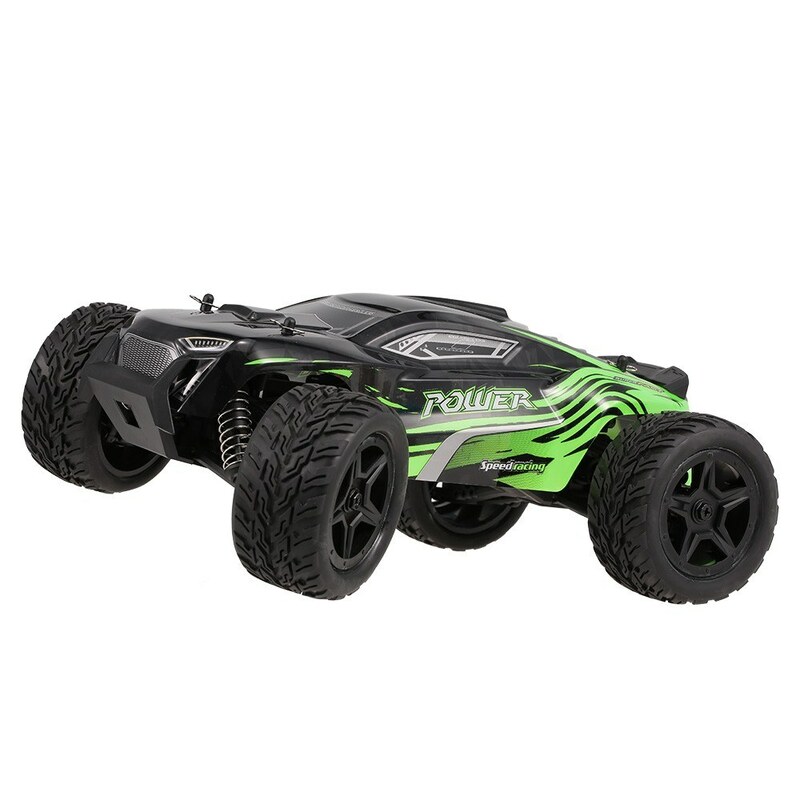 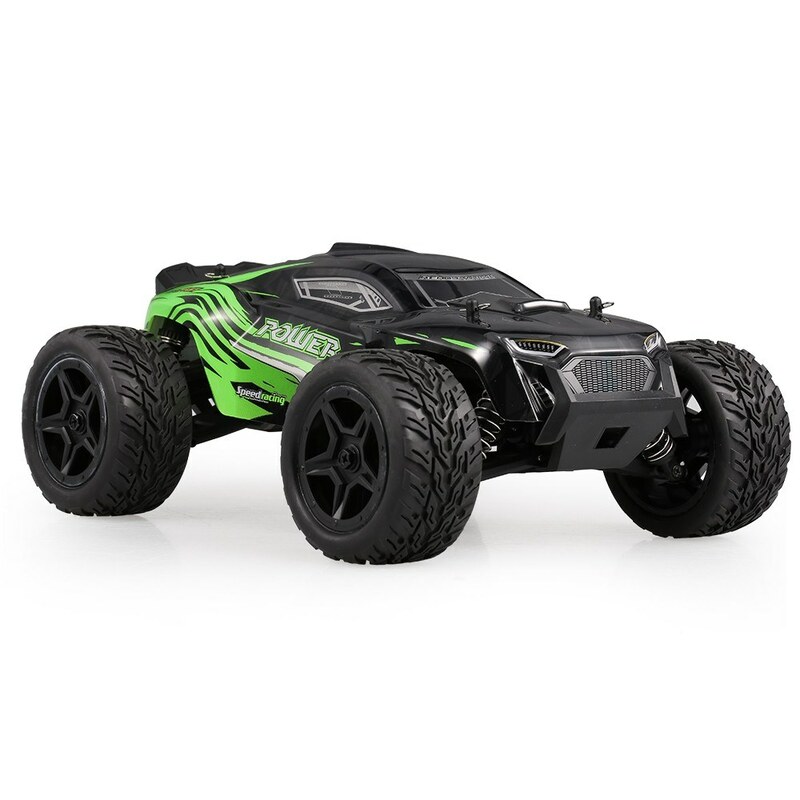 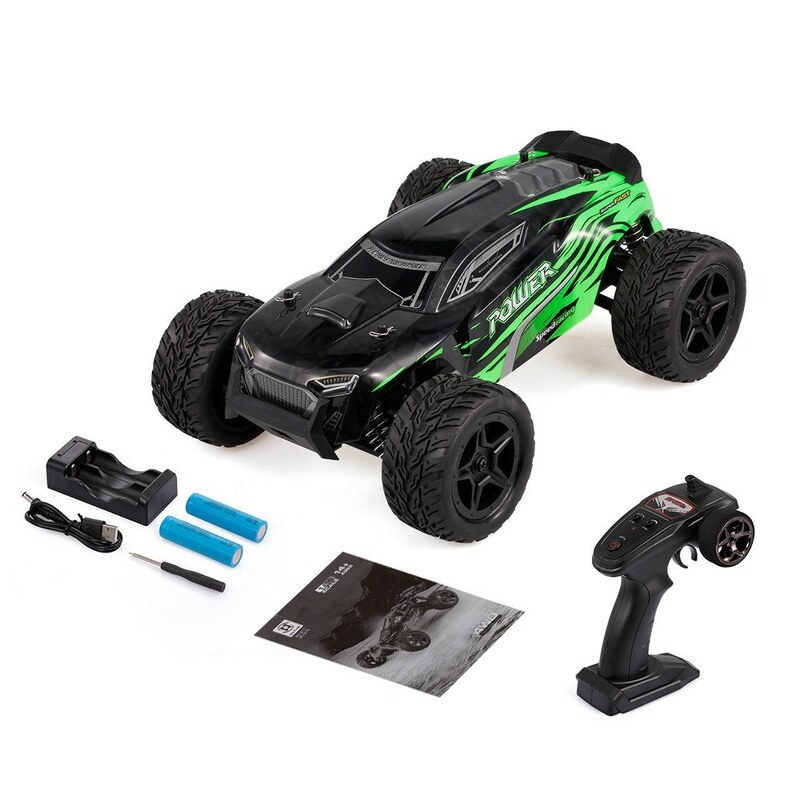 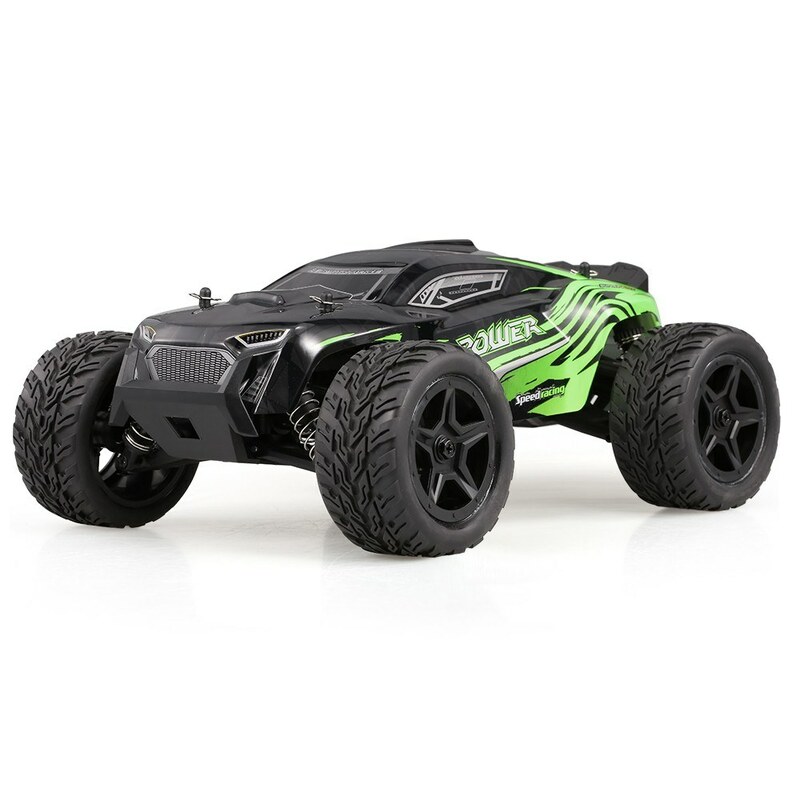 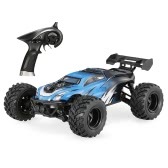 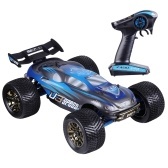 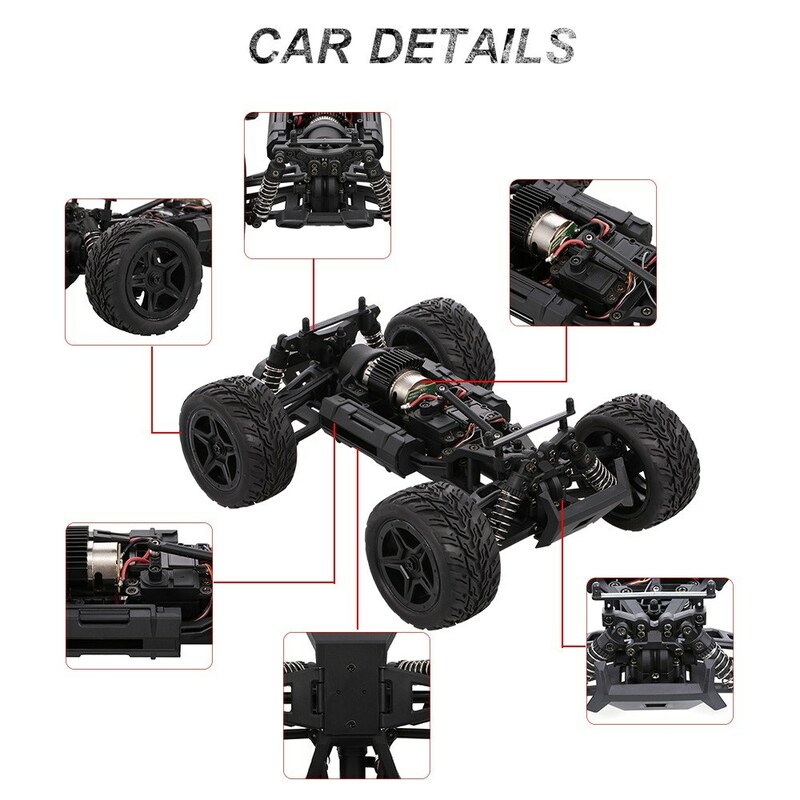 This RC buggy car is made of high quality and strong material with capacity in anti-collision and beat-resistance. 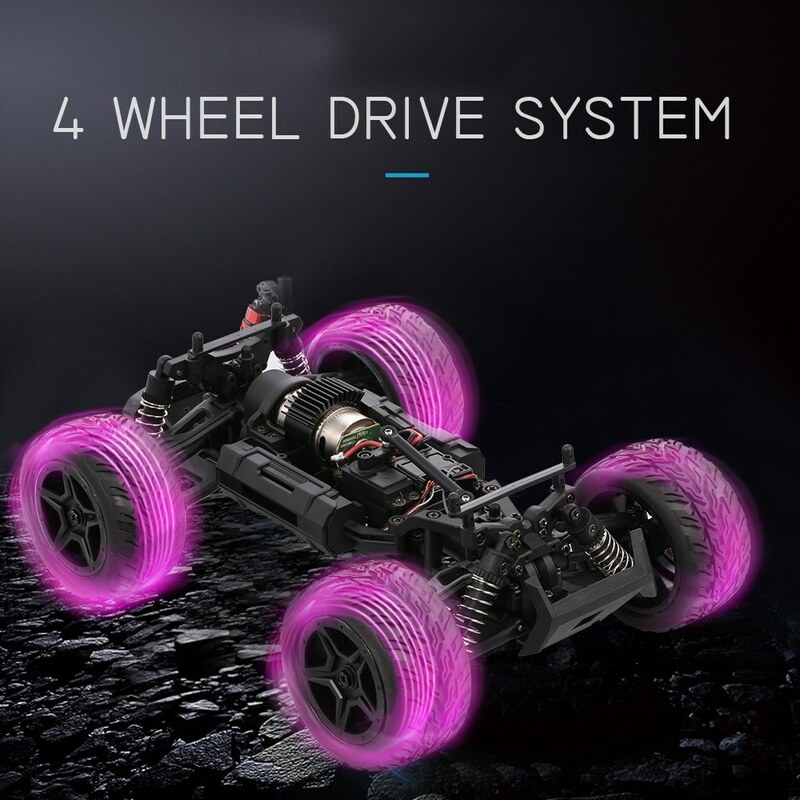 With soft hollow rubber tyre and professional shock absorbing system features great performance. 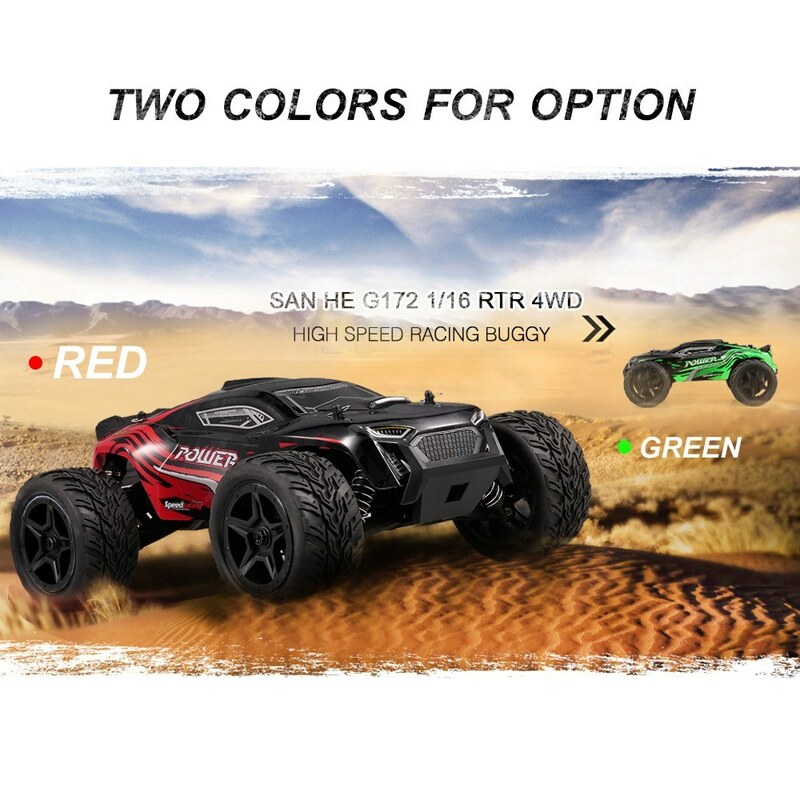 Just go enjoying the fun! 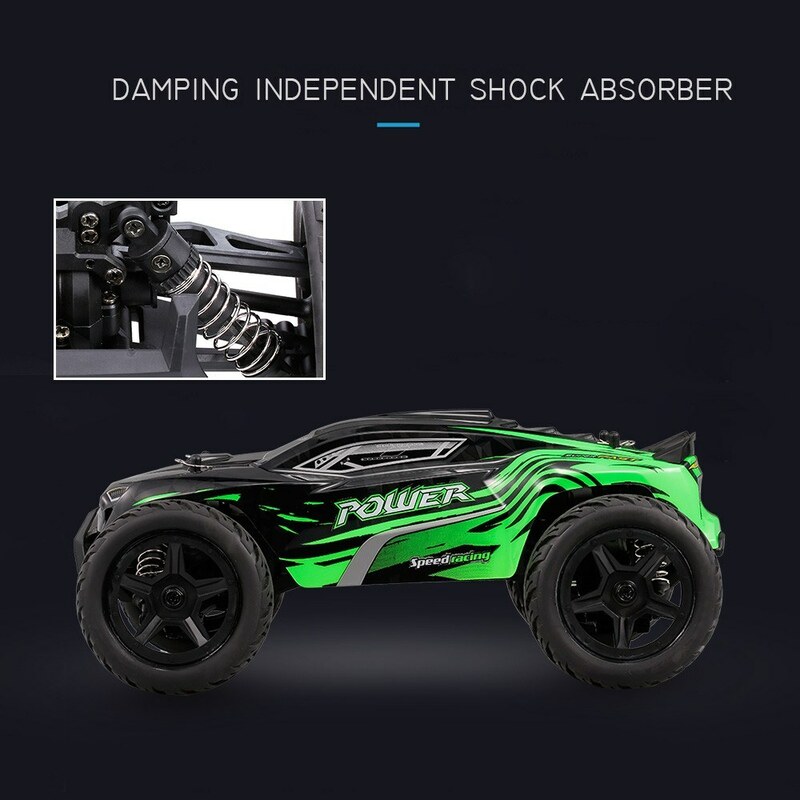 The electric devices are basically water-proof. 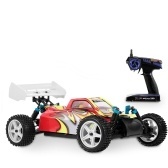 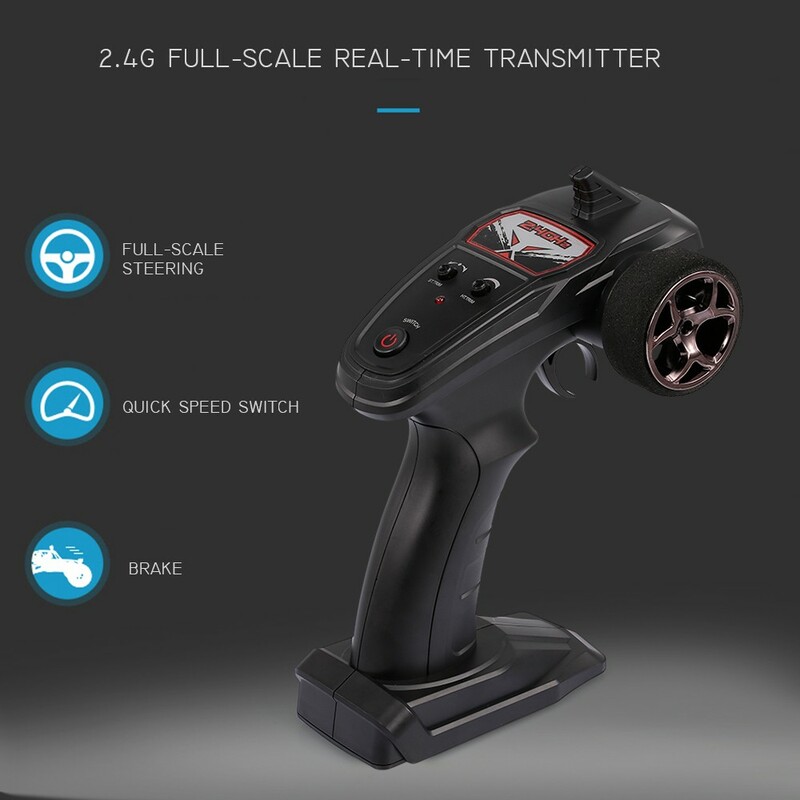 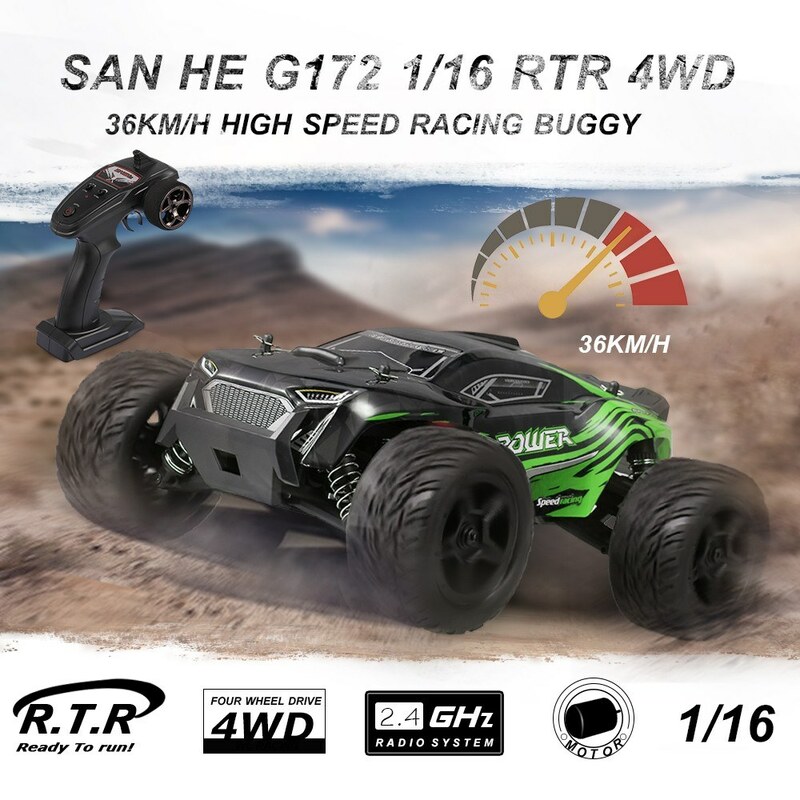 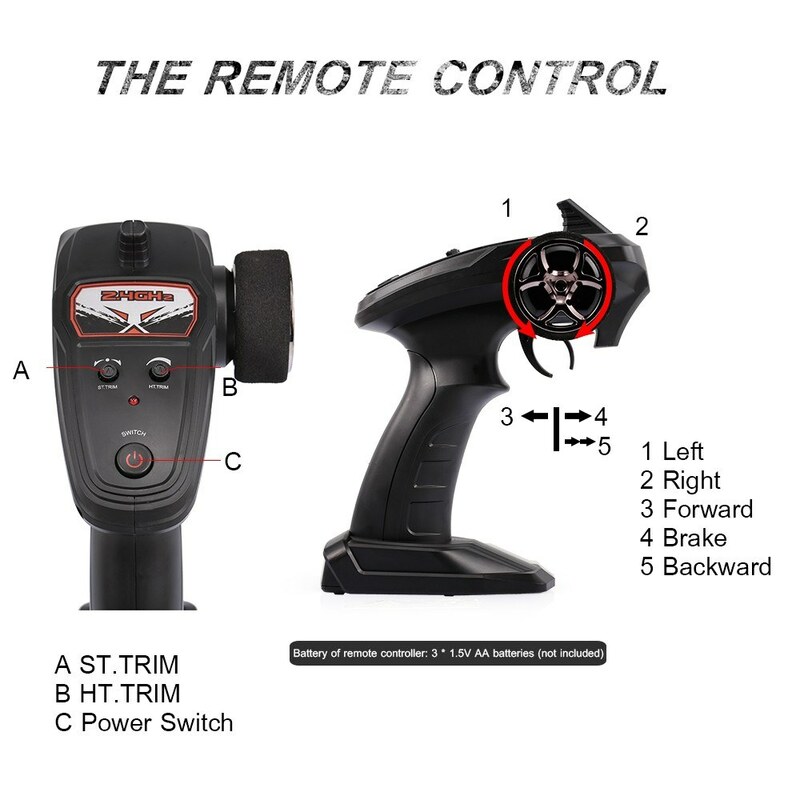 2.4Ghz transmission supports multiple cars play together without interference and a range of remote control about 100 meters. 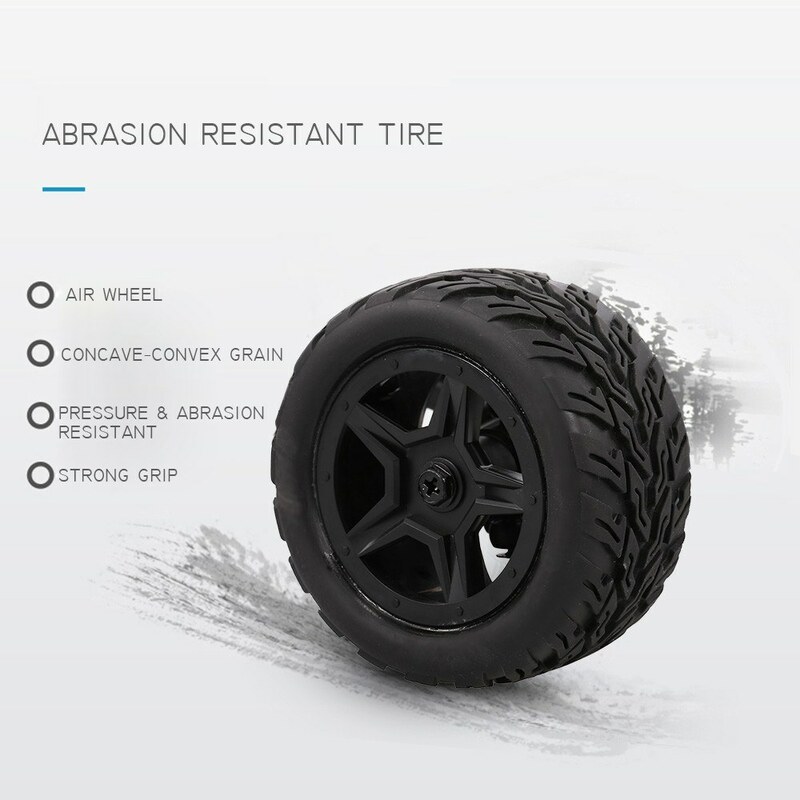 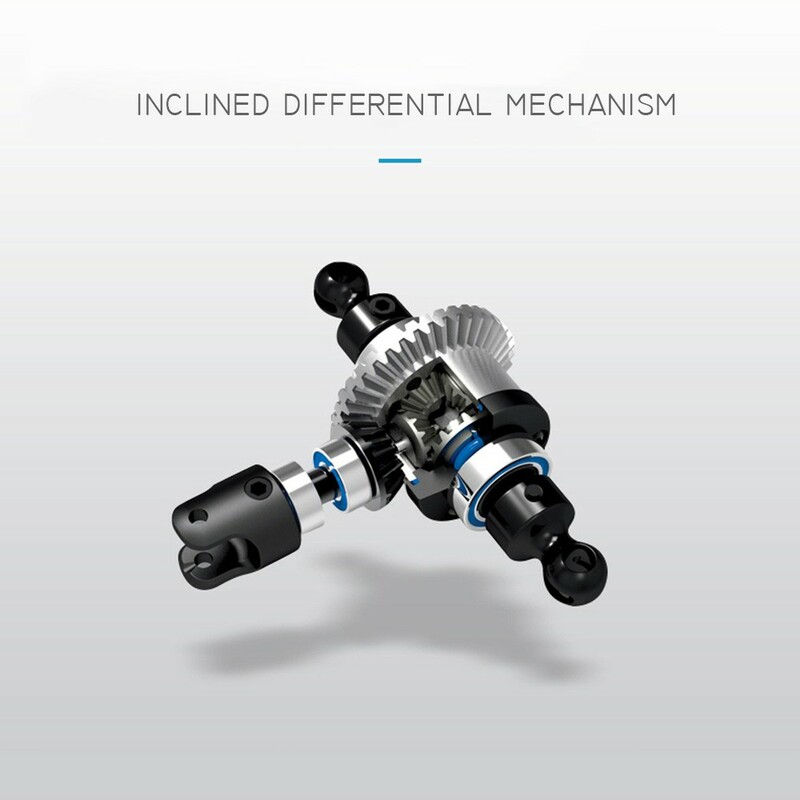 Shock absorption and collision avoidance design provide longer service life. 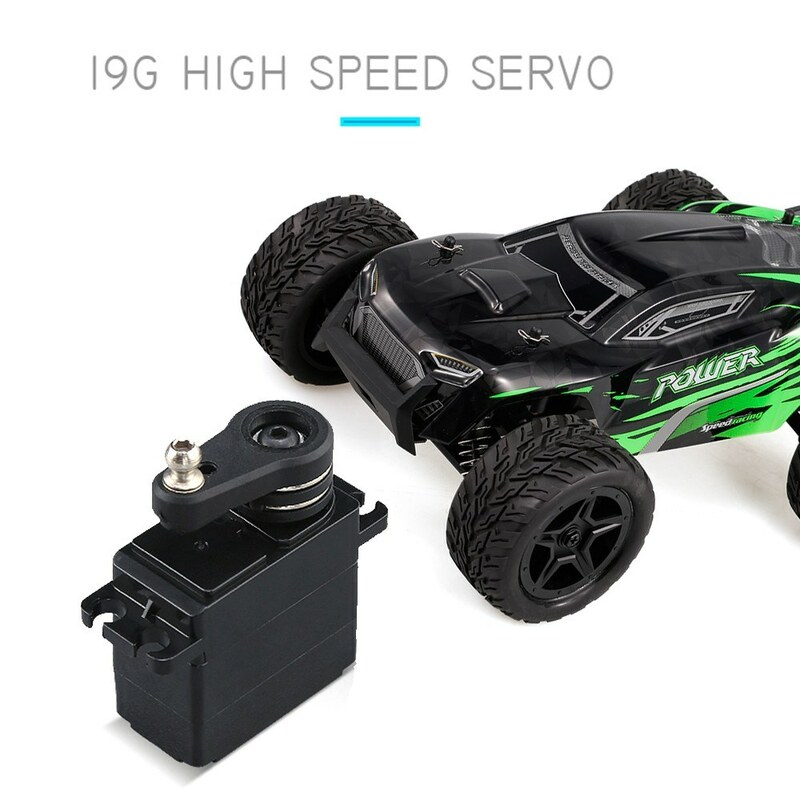 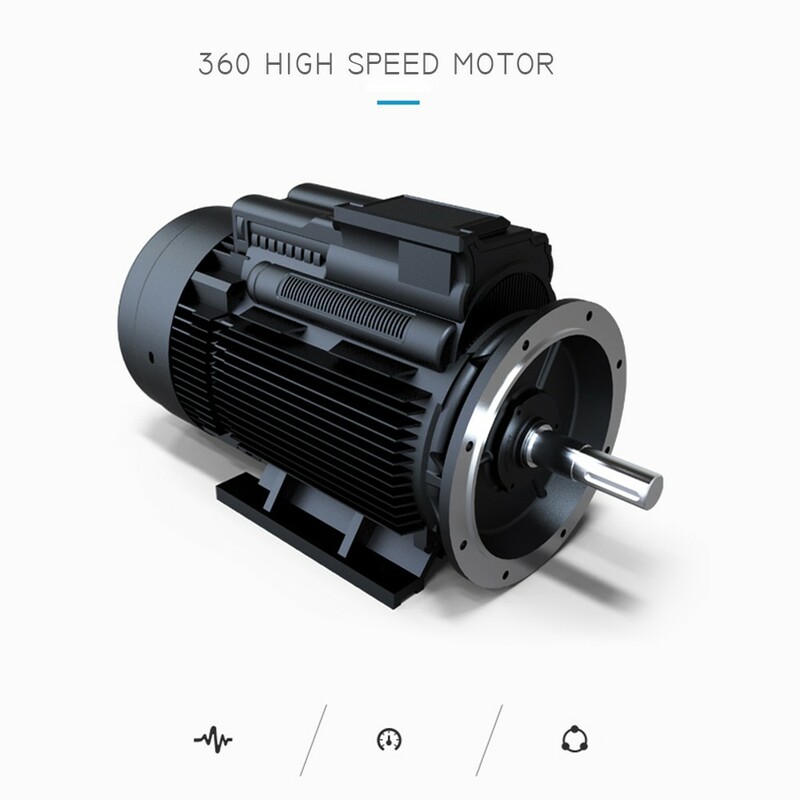 The running speed can reach about 36km/h.